Take inspiration from first ladies' past inauguration looks when renting a dress from Rent the Runway, located on M Street in Georgetown. Students will have the rare chance to dress up in formal wear at inaugural balls around D.C. this weekend. And what better way to wow the crowd than by taking inspiration from past first ladies’ inaugural ball looks? Anyone can rock a timeless dress without the presidential price tag. One of the cheapest ways to get the perfect gown for an inauguration event is through Rent the Runway. 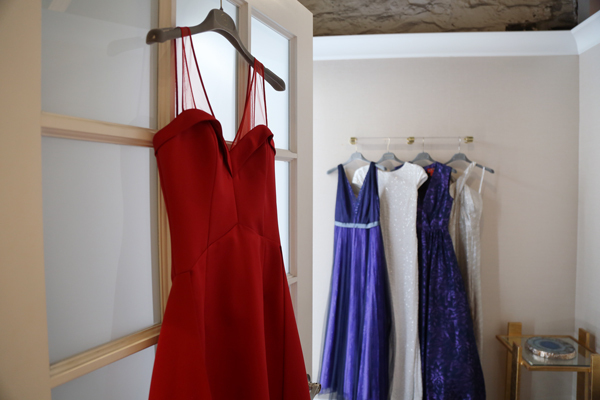 Customers can rent designer dresses for a fraction of the original costs. Rent the Runway has a location in Georgetown, making it easy for you to visit the store and leave with a dress the same day. The brick-and-mortar store carries hundreds of styles with even more available online. For dresses not available at the D.C. location, you can order a four-day or eight-day rental online with next-day shipping. You’ll receive your dress in less than two days, as long as the order is placed before 3 p.m. Here are some of the best Rent the Runway looks inspired by first ladies. Hillary Clinton traded in her famous pant suit look for a gown at the 1993 inaugural ball. Her long sleeve purple gown designed by Sarah Phillips was covered in intricate beading and dazzled all night long. For a modern spin, the Cassidy Gown ($150 for a four-day rental) by Monique Lhuillier revamps a classic look with a flattering A-line silhouette and low neckline. The dress features violet tulle that flows from a thin, shiny empire-waist band. The plunging neckline is flattering and will trump other looks on inauguration night. Monique Lhuillier’s Tena Gown ($85 for a four-day rental) looks like Clinton’s famous inaugural ball gown but swaps sequins for a floral overlay. The purple and navy jacquard dress has a more traditional full skirt but is mixed with modern design elements, like a cut-out back and pockets. Nancy Reagan was known for her film career and sleek Hollywood style, so for her first inaugural ball in 1981 she dressed to impress. Reagan wore a glamorous white one-shoulder dress by James Galanos that was embellished with beads. Badgley Mischka’s White Award Winner Gown ($80 for a four-day rental) is a shimmering snow-colored gown that almost perfectly matches Reagan’s original look. The short sleeve dress has the same slim fit that Reagan’s look did, as well as all-over beading. A twinkling, one-shoulder dress like Reagan’s is hard to match, but Badgley Mischka’s Blush Constellation Gown ($100 for a four-day rental) recreates Reagan’s look with the same neckline and shimmer in a different color. The full sequin blush dress with a slit up the leg is guaranteed to wow the crowd, just like Reagan’s original stunner did. In 2013, Michelle Obama stepped out in a bold red Jason Wu gown with a halter neckline and elegant full skirt. The gown was a hit with fashion critics, not just because of its flattering silhouette and bold color, but because it was both timeless and fashion-forward. In the red satin Akane Gown ($150 for a four-day rental) by Nha Khanh, event-goers will be in awe of your sophisticated look. The dress has a sweetheart neckline, which is a more flirty detail than Obama’s gown, but comes in the same knockout color and skirt shape. 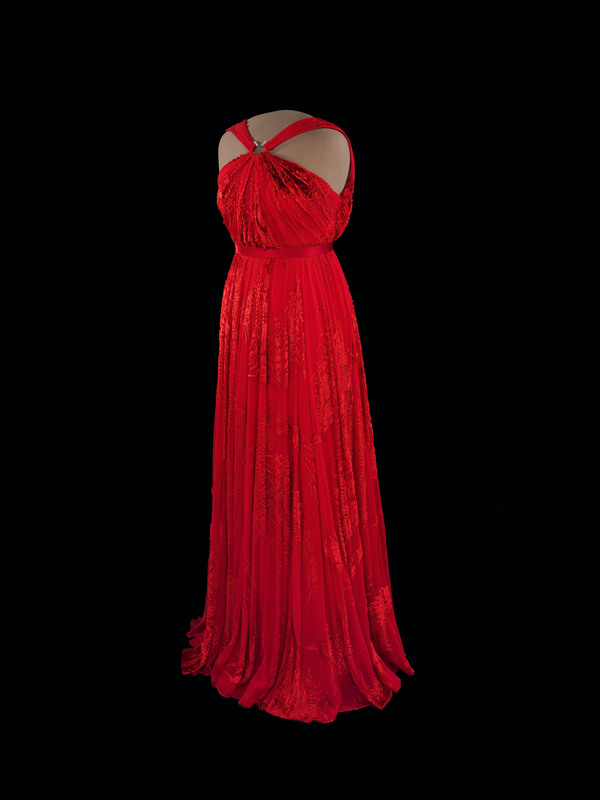 Badgley Mischka’s Red Ruby Gala Gown ($70 for a four-day rental) reflects the structure and movement of Obama’s cherry chiffon and velvet inaugural gown. The full skirt, high neckline and pleated waist band dance around the floor just like Obama’s did. With an empire waist, delicate pleating and a bold color, anyone would feel confident and comfortable all night.